Increasingly, hospitals and biorepositories are adopting automated technology to help protect their valuable specimens stored in liquid nitrogen tanks. 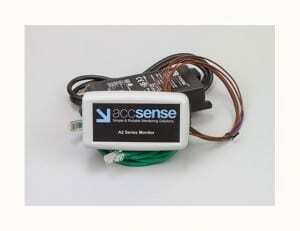 Now Accsense Monitoring offers a time-saving solution—the new Accsense Wired LAN Cryo Monitoring Starter Kit. This new kit includes an Ethernet temperature monitor, sensor, and everything you need to begin monitoring temperature straight away. Using Accsense, staffs never have to remember to check temperatures, and you’ll get peace of mind knowing your products are monitored and alarmed even outside of work hours. Send alarms to multiple locations! Specimens and products stored in cryo chambers can range from expensive to priceless. These critical supplies need around-the-clock protection in the form of continuous temperature monitoring. The Accsense LAN Cryo Monitoring Kit is designed for 24/7 temperature measurement and alarms for perishable goods kept in cryo chambers. The included A2-05 temperature datalogger has connections for external RTD and Thermocouple sensors. In the event of a loss of the network connection, the data logger will keep storing data until the connection is restored. All this functionality is bundled together at a cost-effective price. Accsense automated temperature monitoring systems continuously monitor and record temperature, send users alarms on temperature excursions, and provide historical data for proof of best practices to inspectors. Accsense will also send personnel multiple alarms if the cryo unit should fail due to a power outage. With over 10,000 active users in the Healthcare, Biorepository, and Research industries, Accsense is the gold standard in temperature monitoring for hospitals and clinics. Our systems are easy to install and operate, being designed for Life Science, Healthcare, and R&D. Accsense is also ideal for proving your best practices to inspectors. All temperature data is archived after 365 days, and is then available to download as a CSV file. For more info on the new Accsense Wired LAN Cryo Monitoring Starter Kit, or to find the ideal solution for your application-specific needs, contact a CAS DataLoggers Application Specialist at (800) 956-4437.